Another piece of computer equipment that confuses people is the router. Do you know what a router is or why you need one? Are you searching for one because a friend or salesman told you that you needed one? Or maybe you have one, but you don’t know what it does? Calm down. It’s OK. I’m here. Below what you’ll find is a very basic guide to routers. You’ll learn what they are, what they do, if and why you should get a router and how to shop for one. Not what you’re looking for? Shop all the highest rated routers at Amazon. What is a Router and What Does a Router Do? A router is a small device that sits between your modem and computer. Most routers are about the same size and shape as a modem. The purpose of the router is to take the information from the modem and deliver it to your computer. What is cool about a router is that it’s able to take this information from several networks and deliver them to several computers. In other words, you can be on your desktop in the office and your kids can be on their computer in their room, and you can both use the internet at the same time using the same internet connection. Why Should You Get a Router? The first thing that I want to point out is that a router is not mandatory. You don’t have to have one, but there are several reasons why you might want to get one though. I think the primary reason why you’d want to get a router is if you want to run two computers in your house, at the same time, without having to buy an internet connection (new ISP plan) for both. Another reason to buy a router is so that you can operate a laptop wirelessly in your home. You’d want to make sure that the router you buy is setup for wireless (although I think most are, if not all) and that you have a wireless card, USB or wireless built into your laptop or computer. Routers also add another level of security to your connection. Security wouldn’t be my sole reason for buying a router, but it’s definitely a good secondary reason or something that my tip the scale to “buy” if I was undecided. Knowing which router to buy can be a challenge with all of the different options or features out there, let alone the jargon being used to describe them all. So I thought I’d break the most common ones down. Dual Band – Dual band gives you the option to have information transferred over two different radio frequencies (2.4GHz and 5GHz). The general idea behind dual band is to increase the size of your bandwidth so that you experience less lag (or bottlenecking) while using your network at the same time. To determine whether you need a dual band setup or not, consider what you’ll be using your internet for. If it’s just you and maybe the kids checking email and doing homework, a single band would probably be fine. However, if you’re a gamer or if you want to turn your living room into a Starbucks (free wi-fi), then a dual band will be a good choice. 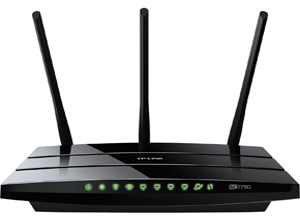 Coverage or Range – This has to do with the strength of your wireless router’s signal. 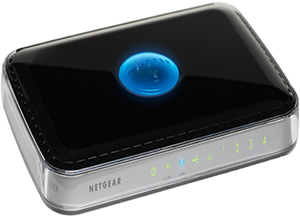 The further away you can be away from your router while still maintaining a strong signal the more flexibility you have. This coincides with the number (or quality) of antennas on the router. Some models of routers will support aftermarket antenna replacements. Instead of distributing their signals equally in all directions like stock antennas do, aftermarket antennas give you the ability to focus the signal in one direction (to your laptop, for example) which will increase it’s overall range. Gigabit & USB Ports – Gigabit ports are ethernet ports. If everything on your network is gigabit ethernet compatible then your transfer speeds will be much faster. A USB port will allow you to hook up other things like your printer. It also turns the whatever you plug into it “shareable.” You can plug-in webcams, scanners and wireless equipment (mice and keyboards). Speeds – Think of speeds like you would in a car. The better the router (car), the faster it’ll (probably) go. However, just because your car says it can do 120mph doesn’t mean that you can, or will top it out. You have other things to worry about like the laws, traffic/congestion, etc. Router speeds are kind of the same. The faster they are, the better they are for you. You can surf the net faster, watch videos and play games seamlessly. But they aren’t necessarily the speeds you’ll do all of this at. That’s dictated by your ISP, as well as dependent on all the equipment you have hooked up (and are using) on your network. These are the features that will have the most impact on the price you pay for your router. 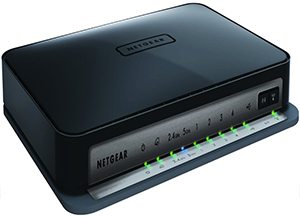 You can expect to pay anywhere from $30 to $100+ for your router, with the average price right around the $50 range.